On a beautiful warm and sunny January day.......well it was for 5 or 10 minutes from time to time! Seriously, in between a couple of substantial showers and occasional light drizzle two groups still enjoyed the delights of the Millennium course. 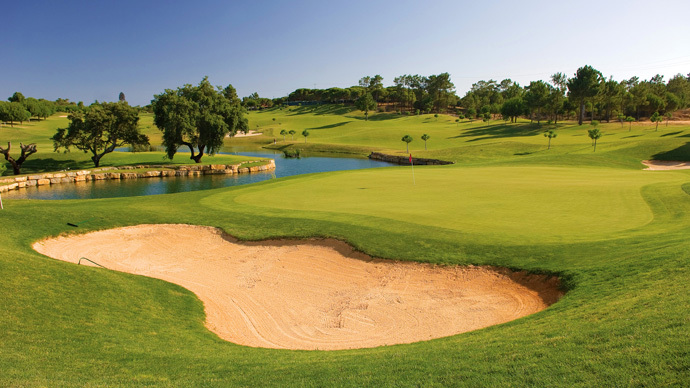 Millennium is a Par 72 golf course located in Vilamoura. 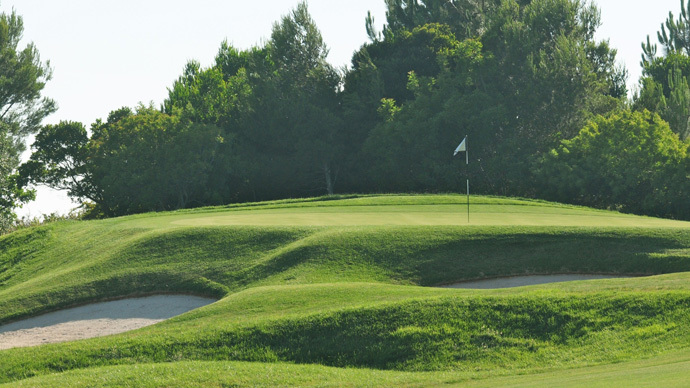 Open since 2000 it has become the most popular in the Algarve. 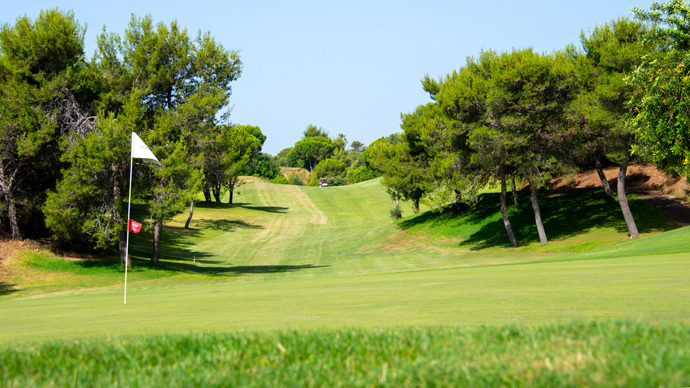 It is not a hilly course and so if you enjoy a walk you can do without the buggy. 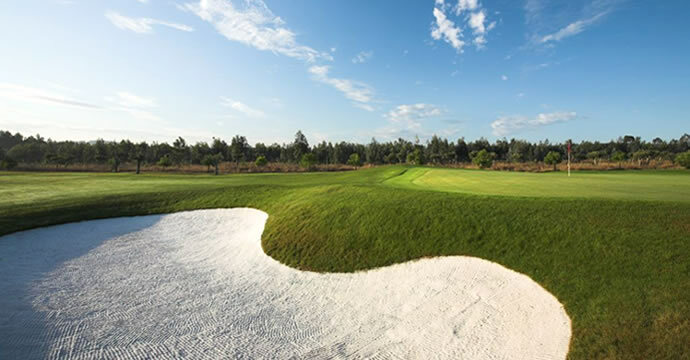 It is regarded as a fairly forgiving course, and one to build a good score on. 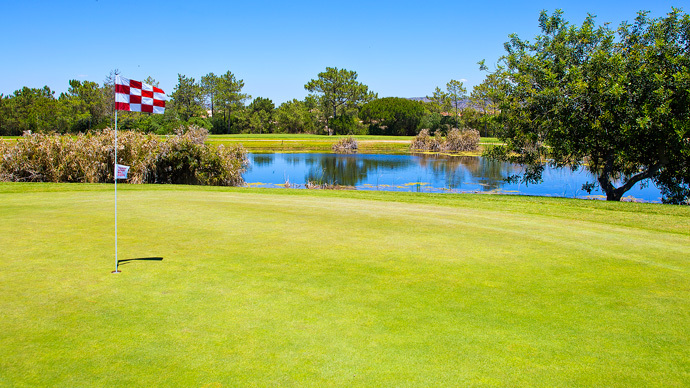 If you're on a golfing trip it is ideal to start your game here to iron out all those faults before taking on tougher courses. 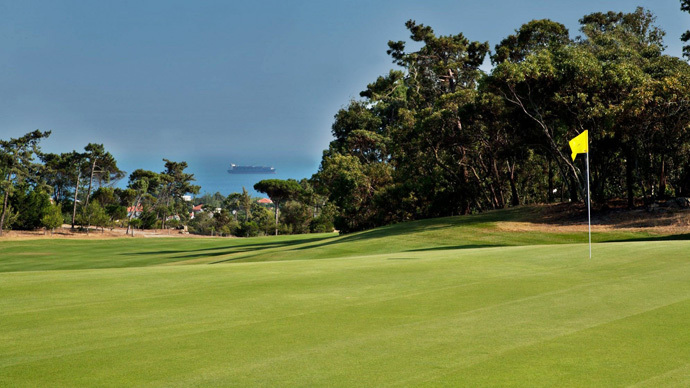 It is quite an open course and the front 9 has 5 holes set between pine trees, making it a more aesthetically pleasing experience, but on the other hand also more challenging, with narrower fairways. 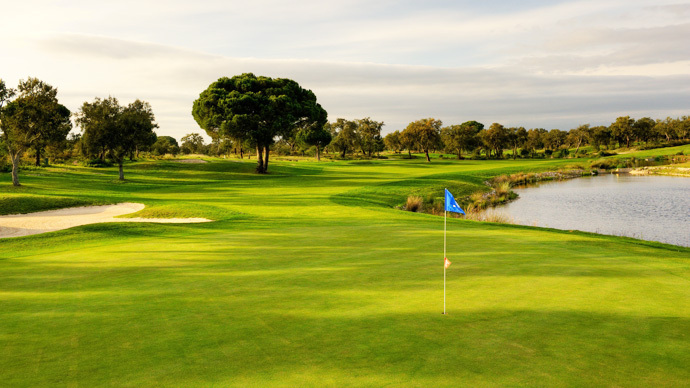 The back 9 is easier all around, slightly shorter, with a total change of scenery into open spaces, allowing mainstream golfers to hit the green in regulation. 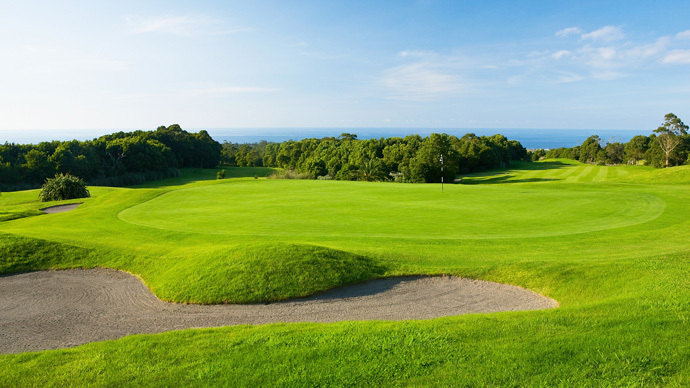 It is a really pleasant golf course to play. 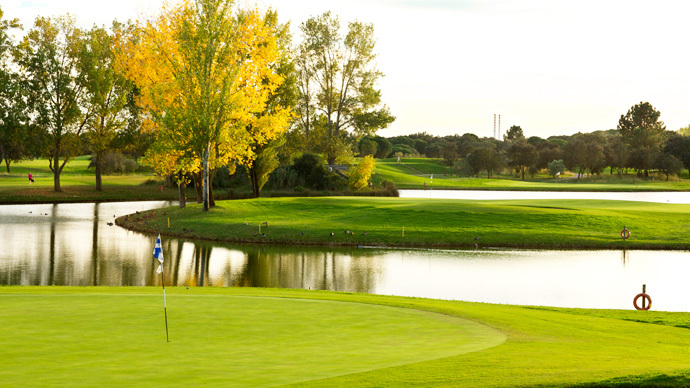 On the day the majority of our golfers scored in the 30’s and so the damp weather didn’t intimidate us too much. 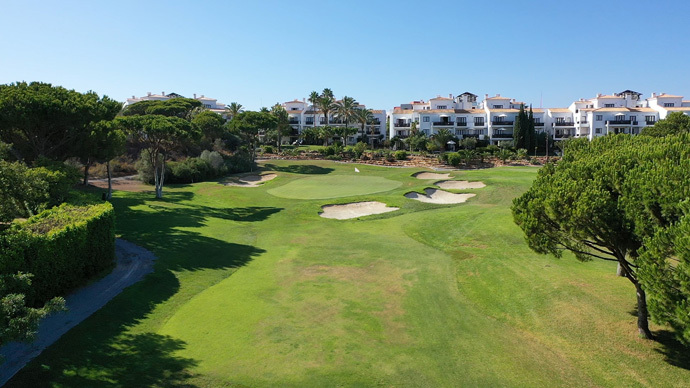 Nearest the Pin at the short 15th was Tracey McCall who also triumphed in the individual competition, with a score of 34 points. 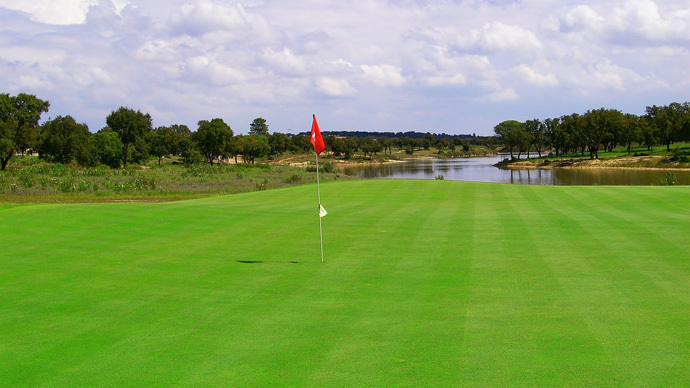 He won only due to having the best back 9 pipping Steve Jinks into 2nd place. 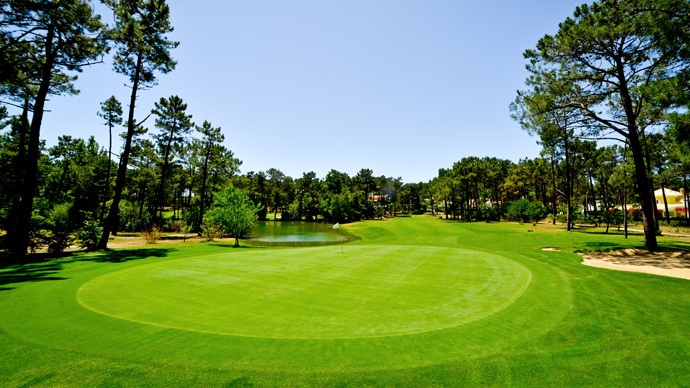 Steve in turn only overcame Carlos Ferreira due to a better last 6 holes. As is often the case after a game in trying conditions, the post match banter was particularly enjoyable. With Parky’s kitchen closed for holidays, we again were treated to nibbles of spare ribs, chips and bread served up by Felipe and his staff at Chez Carlos. 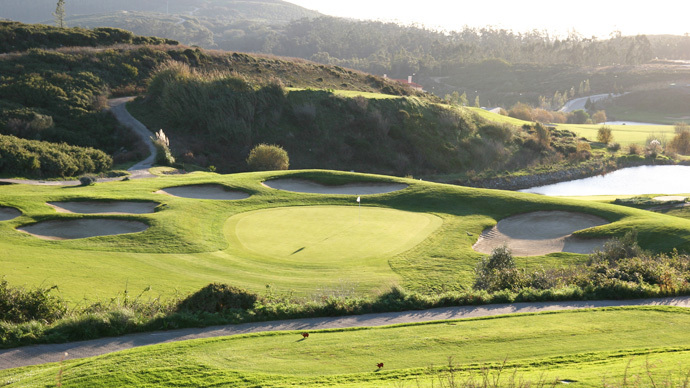 The renewed Portugal Golf Courses is now online to better suit all golfer's needs. 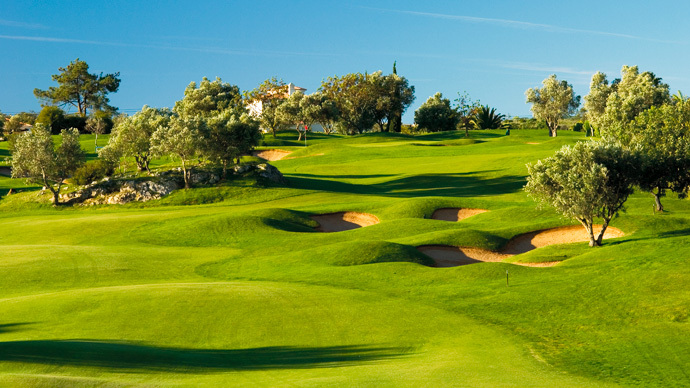 Golfers may find all information needed, green fees and golf booking to play Golf in Europe's Best Golf Courses. 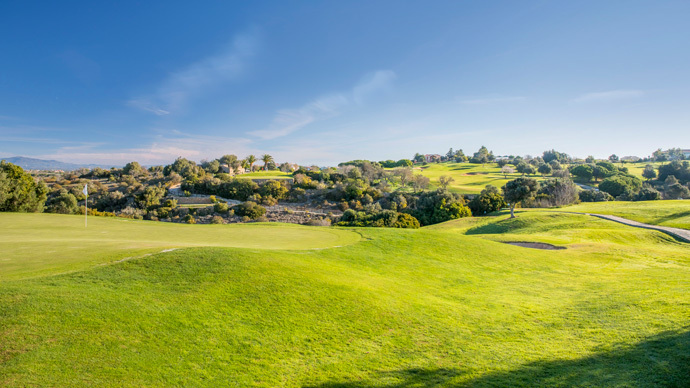 With Algarve as the mainstreem Golf destination in Portugal and one of the top in Europe if you choose to play Golf in Portugal you may say you've found your Golf Paradise. 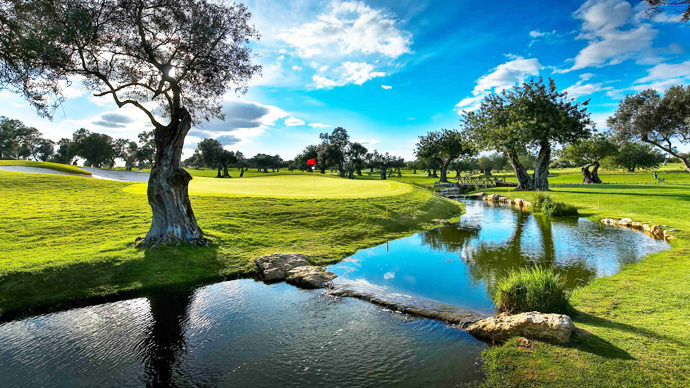 Long hours of sun light as well as a mild and beatiful weather all year around in the Algarve, a wide range of golf scenarios all over Portugal, stunning landscapes and two IAGTO awards as The Best Golf Destination in the World makes Portugal the perfect choice to play Golf. 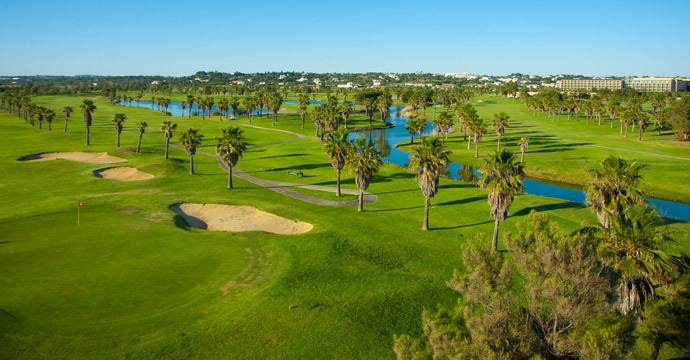 In portugalgolfcourses.info you may find information on the best Golf Courses in Portugal in regions of Lisbon, Oporto, Algarve, Madeira and Azores Islands. 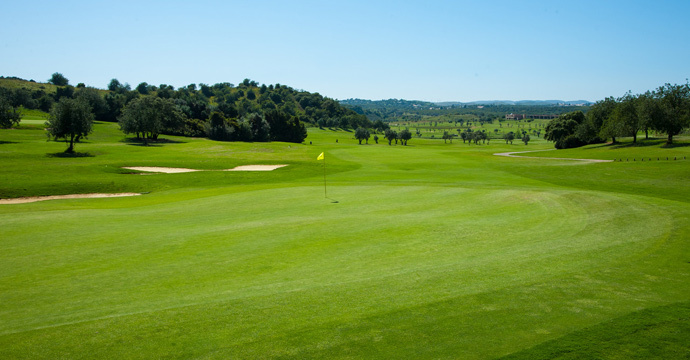 You'll find the best Golf Rates on Green Fees in Portugal Golf. 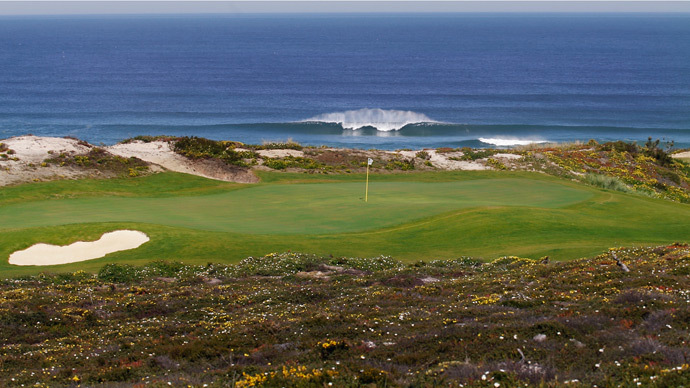 From the legendary Penina and Palmares Golf Courses on the West Coast to Monte Rei Golf Club on the East Coast to the Oceânico Victoria Golf Course where Portugal Masters 2011 will take place from the 13th to the 16th October 2011, you'll find a fine selection of Golf Courses in the popular areas. 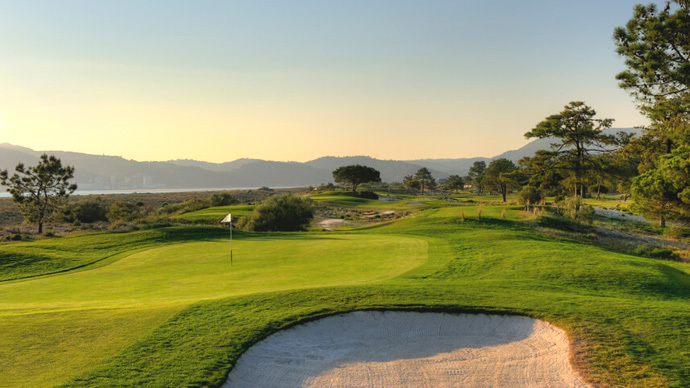 Notable Golf Clubs are also Pine Cliffs, Salgados, Parque da Floresta and Palmares. 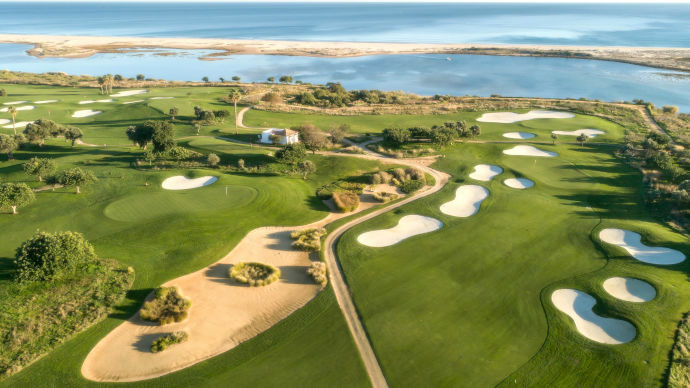 If you look at a map of Portugal and run a pencil along the Algarve, there is barely a centimetre distance between one Tee and the next. 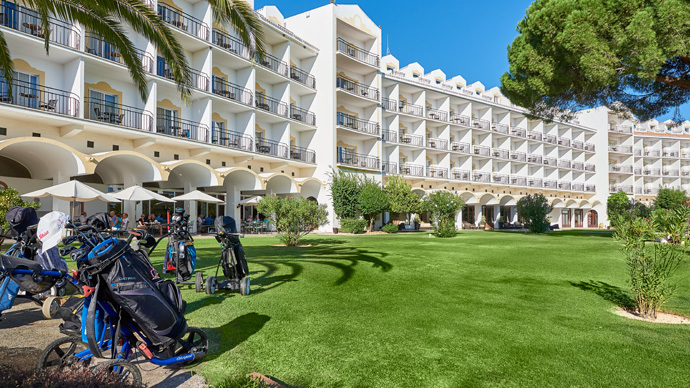 Roll comfortably along the EN-125 motorway from Faro and all exits lead to golf. 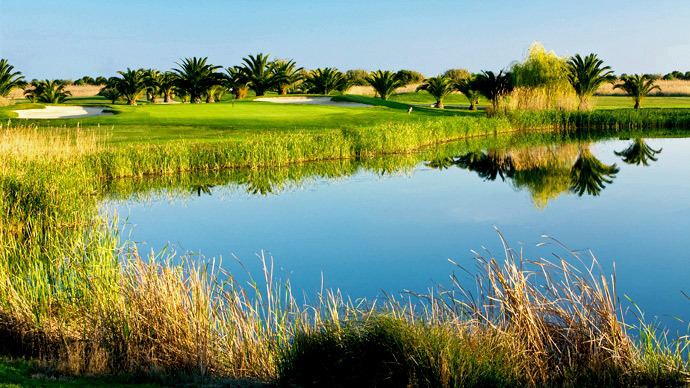 The greatest concentration of Portugal golf courses are less than an hour away from Faro; there are 25 Golf Clubs along this particular coastline. 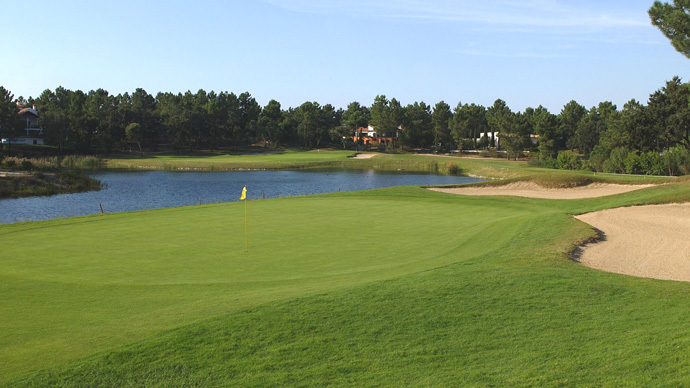 Quinta do Lago launched Portugal's reputation as up and running in the holiday resort stakes. 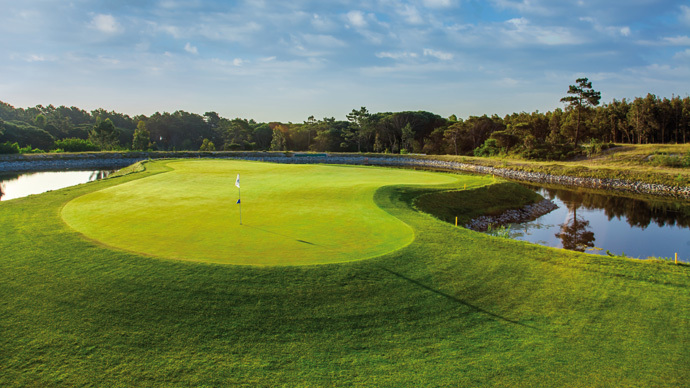 It was created to cater for sporty people; it does just that and golf is its paramount attraction. 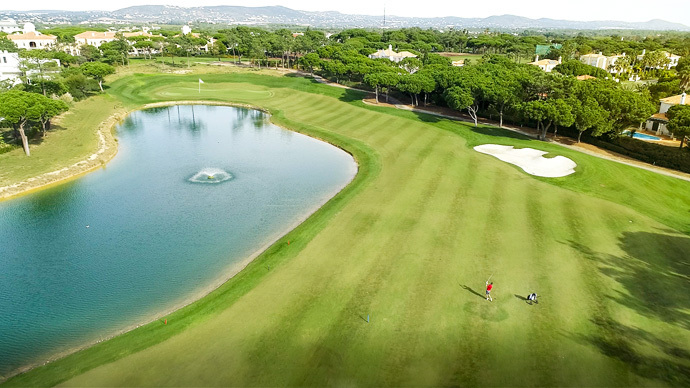 The Quinta do Lago and Ria Formosa courses are the focal point of a 2,000 acre golf and leisure complex. 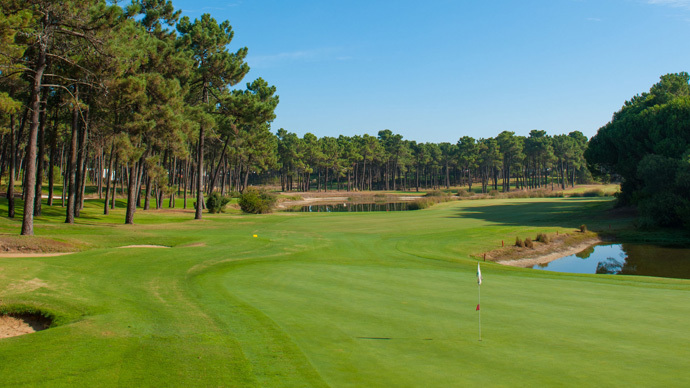 Also set in Quinta do Lago is Pinheiros Altos which features two contrasting halves of the 18 holes, each with diverse and stimulating hazards. 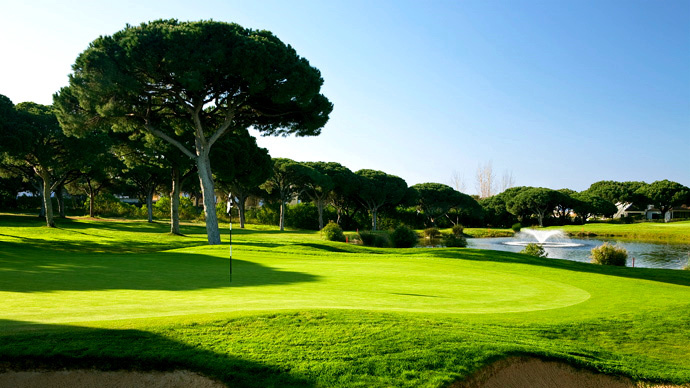 San Lorenzo is currently the star at Quinta do Lago. 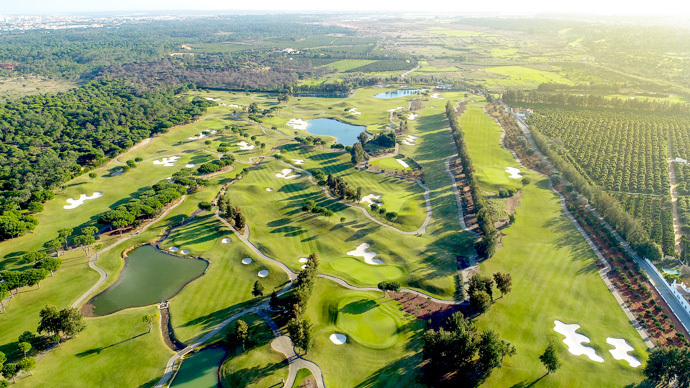 Inaugurated in the late '80s it has been rated the Number 2 course in continental Europe. 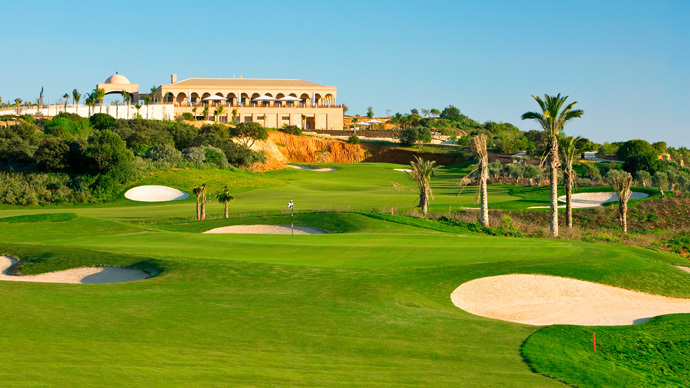 Between Albufeira and Lagos are another half-dozen courses; Pine Cliffs, dramatically set on the cliffs overlooking one of the best beaches, Salgados, awash with scintillating water hazards, and Penina. 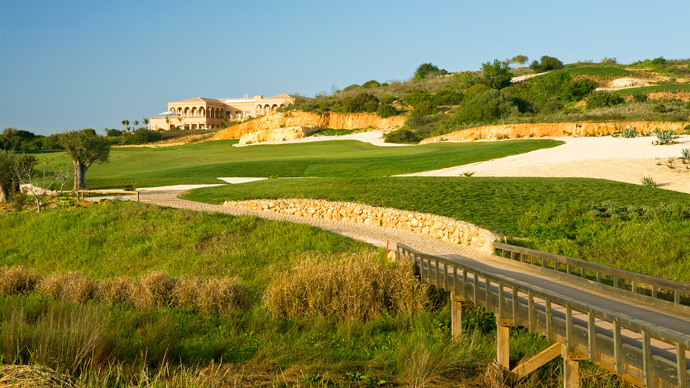 The Algarve's oldest course, Penina is one of several Portuguese courses designed by Sir Henry Cotton, who, as one of the greatest golfing figures in the 20th century, is to Britain as Robert Trent Jones is to the USA. 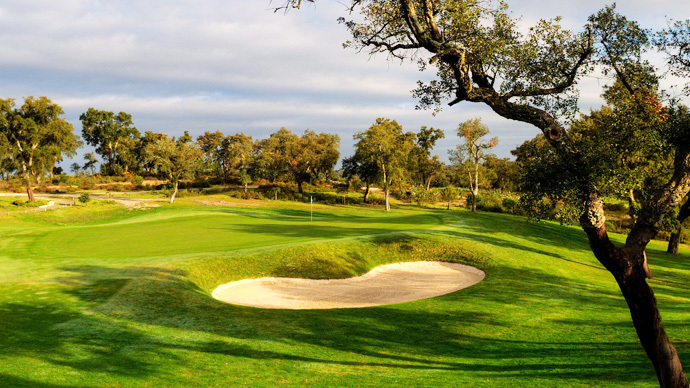 Near the western tip of the Algarve is Parque de Floresta whose hilly terrain calls for a good temper and a steady stroke. 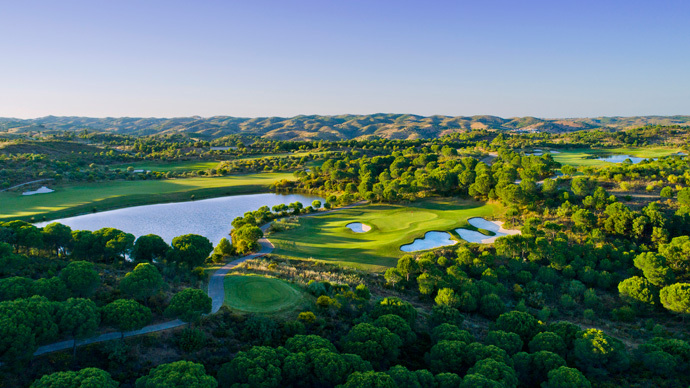 The Alentejo plains to the north of the Algarve have until recently been a place in which to seek solace when one has had enough tourism. 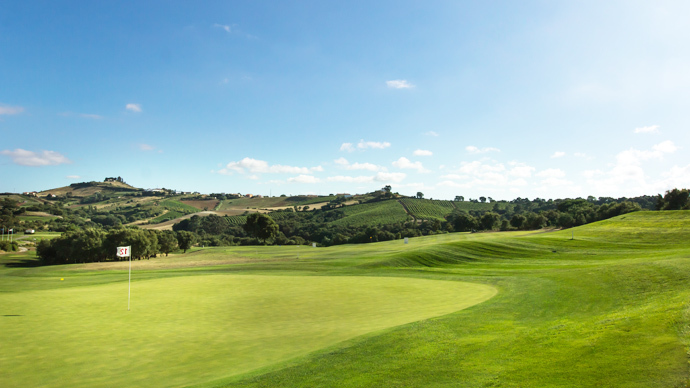 Now it has its first golf course, called Marvao. 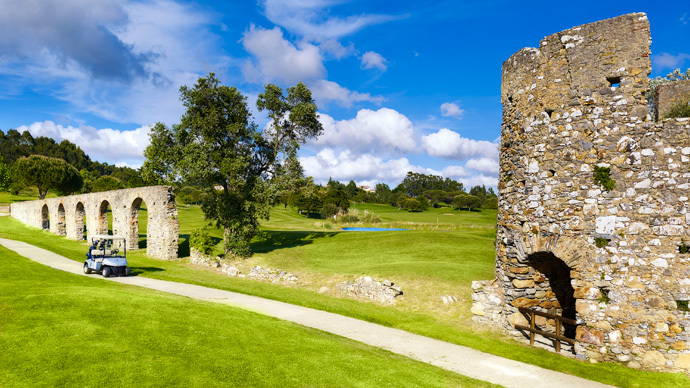 Its site is historic with remains of the Roman town still to be found along the golf course. 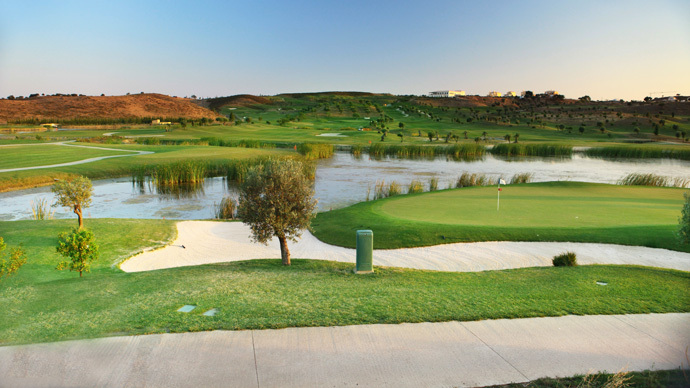 Four lakes count highly among Marvao's challenges. 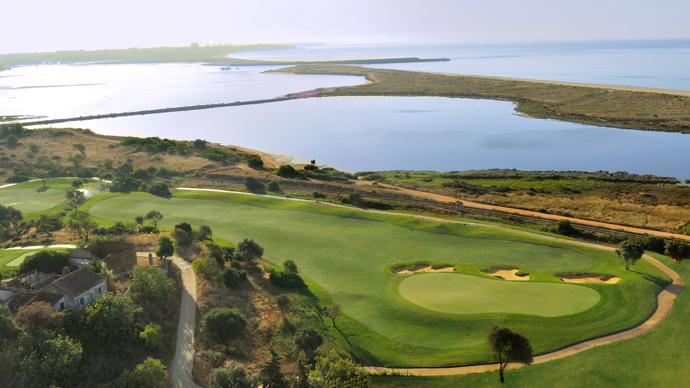 Golf is obviously one of the country's prime assets. 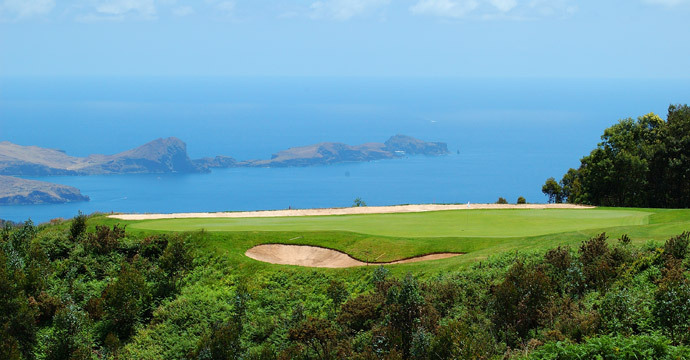 That it will be further exploited is certain, greens fees will rise (at present, they are very reasonable). 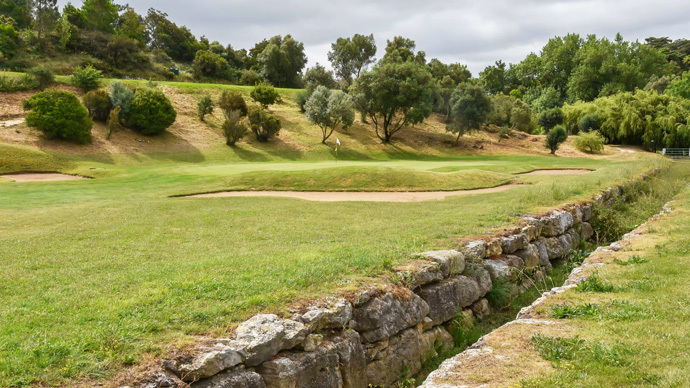 Enhanced by being on the western edge of the continent, by being possessed of a friendly climate Portugal has retained an aura of mystery pretty well extinct in her Mediterranean neighbours. 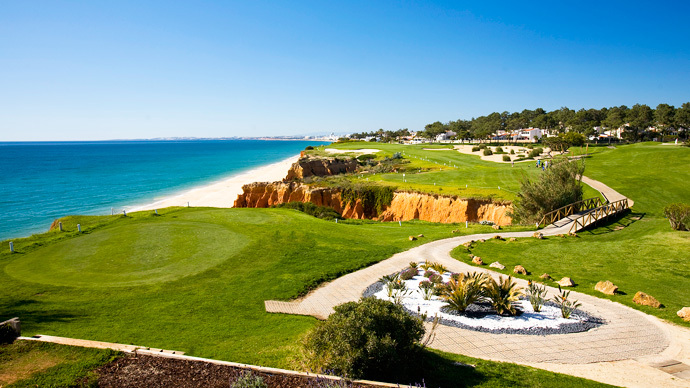 Some of the allure vanishes when one views the almost panicky build-till-you-bust appearance of certain parts of the Algarve. But not all, not by a long shot. 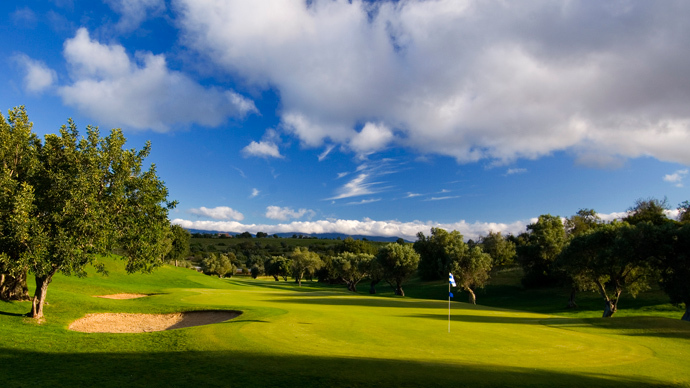 Here in Portugal, the get-away-from-it-all factor is still alive and well. 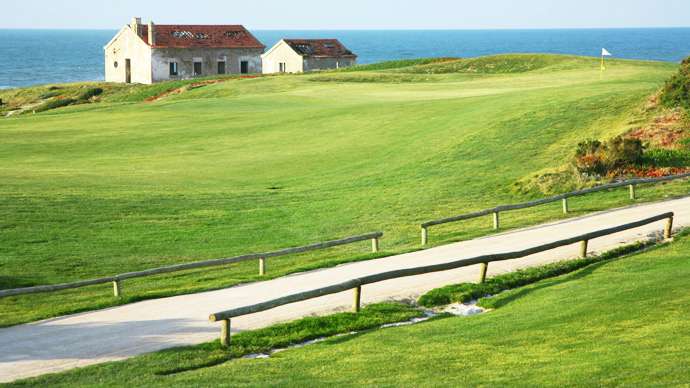 Exit the motorways and within minutes, old Portugal opens welcoming arms. Visitors may opt for whatever degree of modernity they wish. 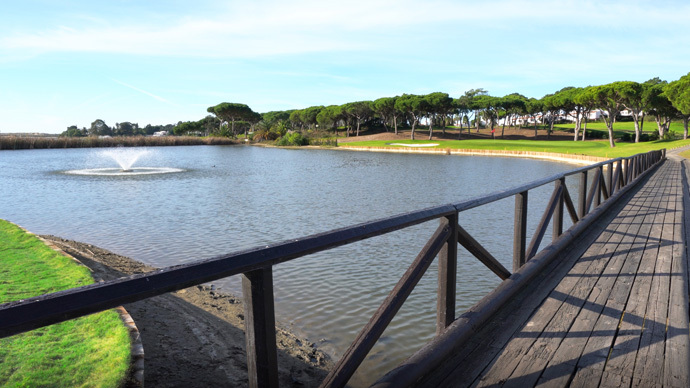 It might be assumed that Portugal and Spain would be much the same, given the similarity of location. 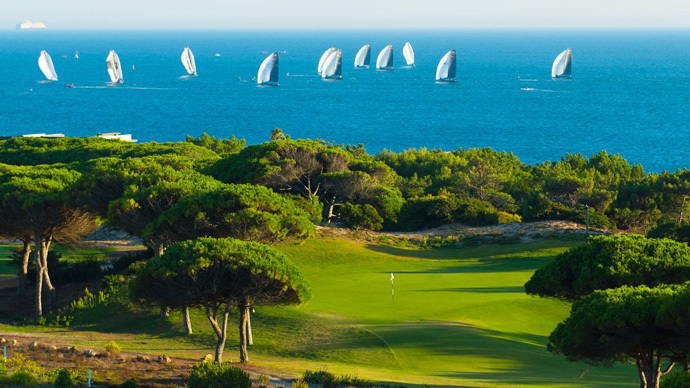 However, in Portugal, aside from the inland plains in autumn, the countryside is greener, most of the seaside topography wilder, the temperatures cooler, the people quieter and authentic Portuguese cuisine reigns all over the country. Deciding where to stay is also a matter of choice. 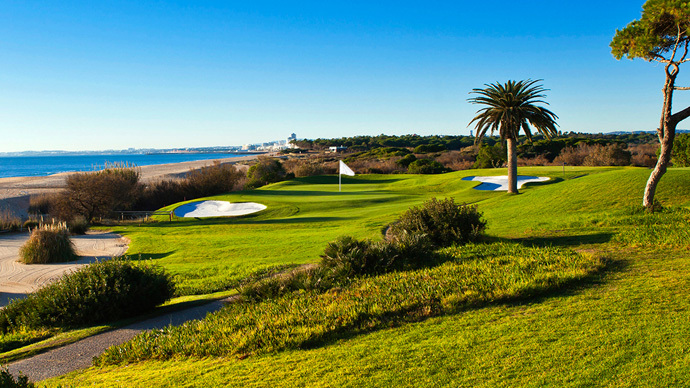 Algarve offers massive hotels as well as a great variety making it a hart decision. 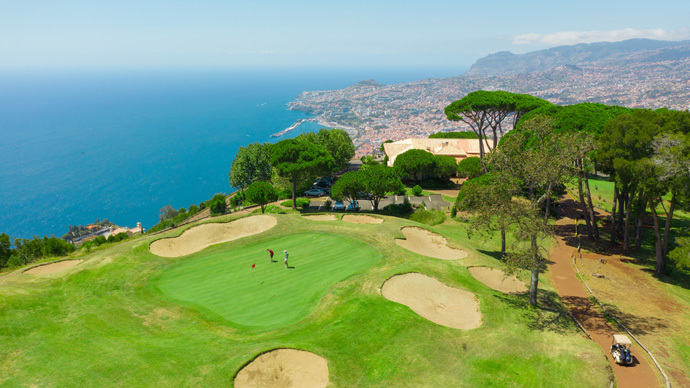 There are many from which to chose; golf packages to the area usually include accommodation in these hotels. That is, however, not the whole story. Smaller places offer respite from crowds and are ideal for people seeking tranquility. Manor houses are beautifully run bed and breakfast places set on spacious grounds. Most are grand homes restored by their owners.